Photographer Megan Hayes. Photograph by Clary Photo. Here is something fun we ran across. Wedding photographer Megan Hayes has posted these wonderful shots of clients Sara and Robert taken at the TCL Chinese Theatre. When contacted, Ms. Hayes told us all about it. "Robert and Sara were wanting something a little different from the typical engagement announcement picture. 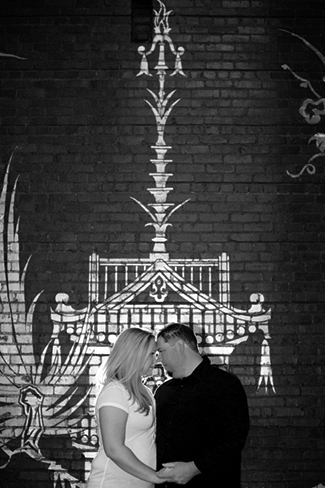 They both love the movie/entertainment industry, and they love the history behind Grauman’s Chinese and thought it would be the perfect place for the unique engagement session they had in mind.” Unique indeed. 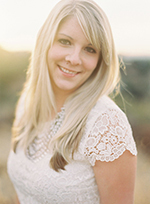 Ms. Hayes ordinarily specializes in outdoor available light images in the places her clients wish to be married in: parks, oceanside, old barns—places like that. “The theatre is huge and also very dark inside which was challenging but fun at the same time!” Ms. Hayes told us. 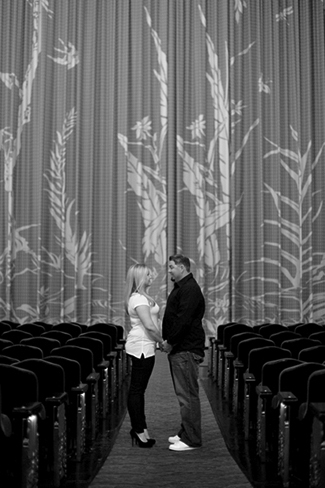 The groom, Robert, knew some of the people who work the theatre, so some space was created for he and Sara and Megan to do their shoot on April 11, 2013, just before the scheduled 1:00 PM matinee of Tyler Perry’s Temptation. The bride did her own hair and makeup. the groom—well—he did his also. TCL Chinese Theatre, Hollywood, California. 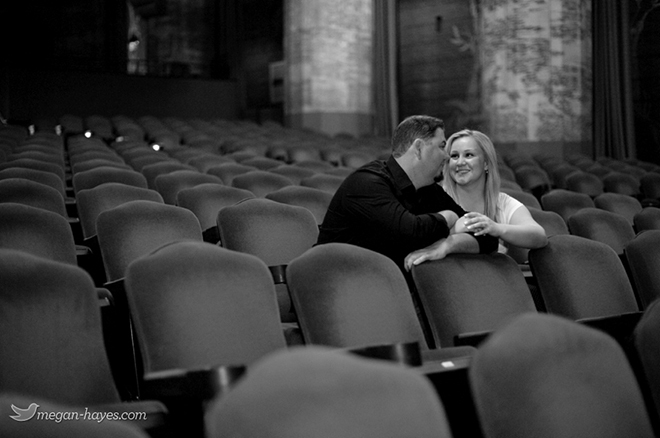 Auditorium with Robert and Sara, April 11, 2013. Photo by Megan Hayes. Courtesy of the photographer. © Copyright graumanschinese.org. Background photo by Megan Hayes.